Because of the heterogeneity when analyzing those trace elements bound to trace minerals I focus on “robust” trace elements to characterize the marbles. Mg, Fe, Mn, and Sr are incorporated in the carbonate lattice and turned out to be valuable parameters for the chemical characterization of white marbles and have successfully been used by different authors (e.g. Germann et al., 1988). Mg is mainly related to a dolomitic component of the marble and only subordinately incorporated in the calcite lattice. Especially in the case of very small samples and an irregular distribution of the dolomite grains the Mg content can vary appreciably. In most cases Fe is a component of the carbonate phase, except in the case of higher amounts of pyrite as a trace mineral. Fe and Mn usually correlate positively. Mn is an important variable when analyzing white marbles and the content ranges from about 10 ppm and less e.g. in Prokonnesian marbles to a few 100 ppm in many other marbles used in antiquity. Similarly Sr is substituting Ca in the carbonate lattice and covers a wide span. 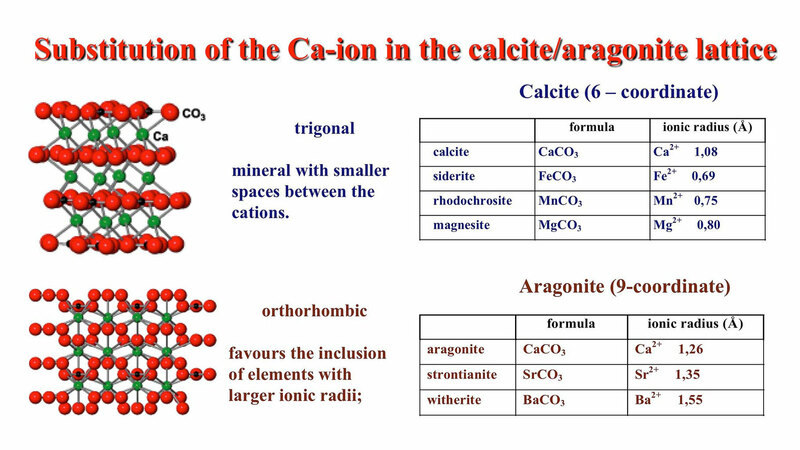 The different ionic radii of calcite and aragonite are responsible for the selective fixing of certain trace elements in these minerals. A very good example of the usability of trace element analysis in marble provenance analysis is the very high Sr-content of the Göktepe quarries in Asia Minor which does not have a counterpart in any other known ancient, fine-grained marble. Similarly a high Mn-content and the appropriate O-isotope composition makes the discrimination of Pentelic marble relatively easy. Boxplots of the Fe- and Sr-contents of the most common finegrained marbles.